There has been no shortage of reasons to celebrate ABB’s progress in powering the future of e-mobility in recent years. 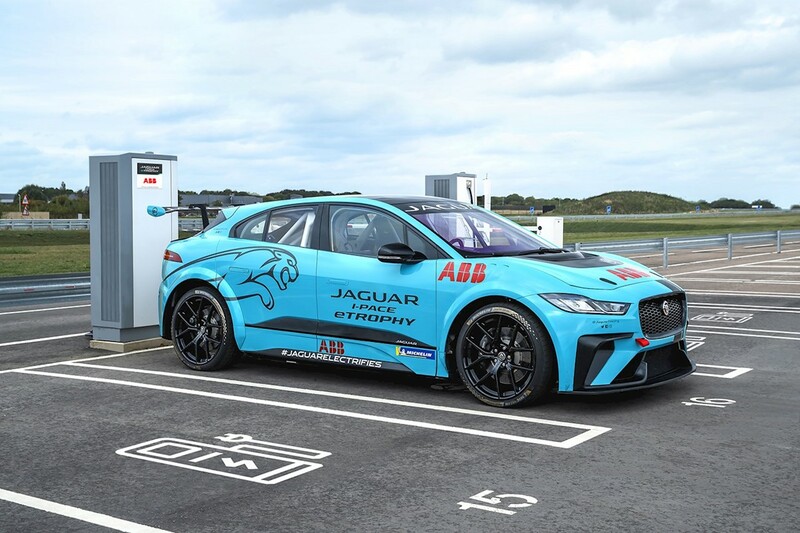 Today is one such occasion, as ABB announced its role as the Official Charging Partner for the inaugural Jaguar I-PACE eTROPHY championship at an international launch event in the UK. Attended by automotive journalists from across the globe, ABB proudly showcased its custom-made, compact Terra fast chargers, which were specially designed for the championship, as a new solution for sustainable mobility. As the first, all-electric, production-based car support series to the ABB FIA Formula E Championship, the Jaguar I-PACE eTROPHY series will exclusively feature up to 20 Jaguar I-PACE SUVs, specially engineered for eTROPHY racing. And as Frank Muehlon, the Head of ABB’s EV charging business, explained to attending press, the Terra fast chargers will quickly charge the racecars in the short breaks between training, qualifying and the championship races. Taking the stage alongside representatives from Jaguar Racing and ABB FIA Formula E, the event brought together like minded organizations in e-mobility, who are committed to driving the future for zero emission travel. It served as a global showcase for what can be achieved when pioneers collaborate. ABB looks forward to the start of the race series, which will take place on the same weekends and on the same city street circuits at 10 of this season’s ABB FIA Formula E Championship races. The series commences on 15 December in Ad Diriyah, Saudi Arabia and will give participating teams the opportunity to showcase their racing talent and performance in this first for electric street racing. Most importantly, this series will continue to push the boundaries of e-mobility, helping to inspire the next generation of electric vehicle owners.